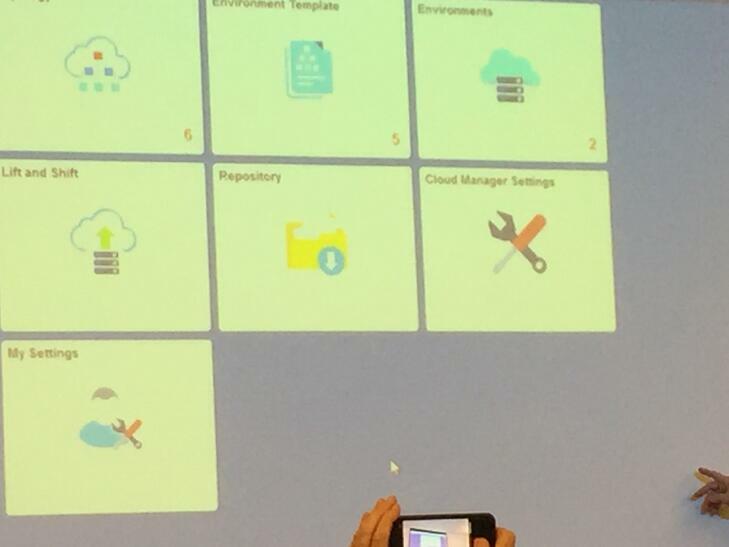 At the recent PeopleSoft Summit at Oracle Headquarters, a very interesting product called PeopleSoft Cloud Manager was demonstrated. The name might change, and no release dates were given. But the product looked mature (for a 1.0 release), and may prove of great value to customers who plan to keep running PeopleSoft applications for a while, but also want to enjoy the time and cost savings derived from automation and cloud processing. The most interesting thing about this product is that it is not part of PeopleTools, nor will it be delivered via a PeopleSoft Image (PI). Instead, PeopleSoft Cloud Manager will be an Oracle Cloud Marketplace application, hanging out next to the latest PIs for your applications. In other words, PeopleSoft Cloud Manager isn't a PeopleSoft enhancement, or a new architecture, but an application to automate and standardize the creation of PeopleSoft environments and instances on the Oracle Cloud. It appears that the PeopleTools development team, together with the PeopleSoft application teams and the Oracle Cloud team put this product together to help customers facilitate the deployment and management of PeopleSoft on the Oracle Cloud. While no information on this product appears to be available yet, and handout materials for these sessions have yet to be distributed to attendees, I took notes (and a picture, above). The Lift + Shift tile contains predefined scripts to move environments from on-premises. The delivered scripts were built in Python, so the user has access to the code running this (and other) script processes. Customers will create a DPK, create an environment, and upload into the new environment. The Repository lets customers subscribe to new PeopleSoft Images for Financials, HCM and Campus. (When they are released, they will be automatically downloaded from MOS.) There are Cloud Manager settings, and customer specific setting in the remaining tiles. A few other points worth mentioning. PeopleSoft Cloud Manager will require PeopleTools 8.55.11 (at least). Part of the (optional) automation is to let the PCM process update PeopleSoft Tool patches. And if you are running PeopleSoft on an Oracle database, there are also features to upgrade and update database releases as well. At Beacon we have created PeopleSoft instances on both AWS and the Oracle Cloud. 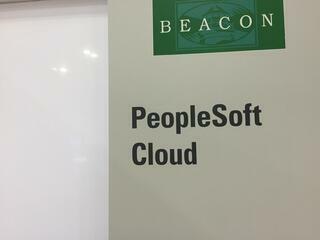 PeopleSoft runs fine as is, on both these cloud platforms. But right now, neither of these clouds have anything specifically tailored to PeopleSoft, except the PIs that are already on the Oracle Cloud. Much of the cloud set up has to be done manually, just as if you were creating on-premises instances. DPKs make the creation of new instances more automated, but much of the process - Tools patches, environment definitions, adding app servers, etc is generic and or manual. The apparent intent of the Tools team is to completely automate the process of setting up and running PeopleSoft environments on the Oracle Cloud, in order to make moving and running PeopleSoft more attractive and efficient on the Oracle Cloud. If you are planning or considering a possible migration of some (dev/test) or all (production) of your PeopleSoft to a Public cloud, especially if you run on Oracle's DB, this is coming soon enough (I think) to be an avenue to consider. If I was a person who predicted release time frames I would predict something like March. There "is no magic" here. PeopleSoft Cloud Manager is a framework (and scripts) to automate each of the steps necessary to deploy PeopleSoft. PCM does not change the current (or future) PeopleSoft architecture, it uses DPKs and definitions of Oracle's Cloud Services to highly automate and standardize a complex and time-consuming process.